Despite significant innovations in rural microfinance over the years, millions of people around the world still do not have access to financial services. Can linkages and strategic alliances between formal and informal financial institutions and private firms help resolve this problem? Drawing on twelve case studies and one review conducted in eleven countries in Africa, Asia and Latin America, the contributors show how formal financial institutions and companies use a variety of less formal, often rural, organizations to overcome the information and enforcement problems of serving rural clients. Research indicates that these linkages seem to afford both partners the opportunity to overcome weaknesses experienced when working on their own. 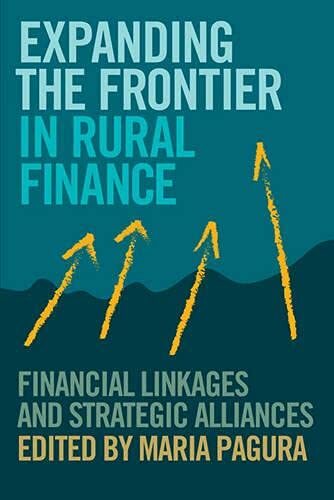 This book is of interest to all involved in rural development, particularly those concerned with financing economic development and innovation. Maria Pagura is a Rural Finance Officer at FAO, Rome; she has 16 years' experience in rural and microfinance and small enterprise development in Africa and Asia.